Good heavens. Some days I forget that breathing is NOT optional. I get overwhelmed some in life. “Some” being a gross understatement, and one to which my dear husband would roll his eyes at. I woke up today remembering that it was family “vacation” week… meaning Hubs/Dad doesn’t have to work third shift. I smiled and rolled over and greeted his morning mug with a kiss. Then I remembered that I had a deadline to meet for my editor, before noon, and fifty thousand other racing reminders quickly flowed in next. I held my breath and didn’t even realize it. The article was a no brainer. I love doing them, and this one would be easy-pachiesie. All I had to do was turn my motherhood-insanity into a 500 word reality on paper, throwing in a splash of hope, determinism, and maybe a smile or laugh. The rest on my list? Yeah, I’d need to re-read my advice and take it for once! It was called, “Just keep breathing.” Hmmm, sounds like one I need to “see”. It takes some getting used to, but now days, kids often first “see” music while hearing it. Its a YouTube generation. But with my daughter Allison, she really understands the song if she sees it on a video with the words keeping time to the song. She struggles with ADHD, and while she is not a behavioral sufferer with it, her attention and ability to take information in is a struggle for her. Coupled with her Dyslexia, she’s had a hard road this last year. 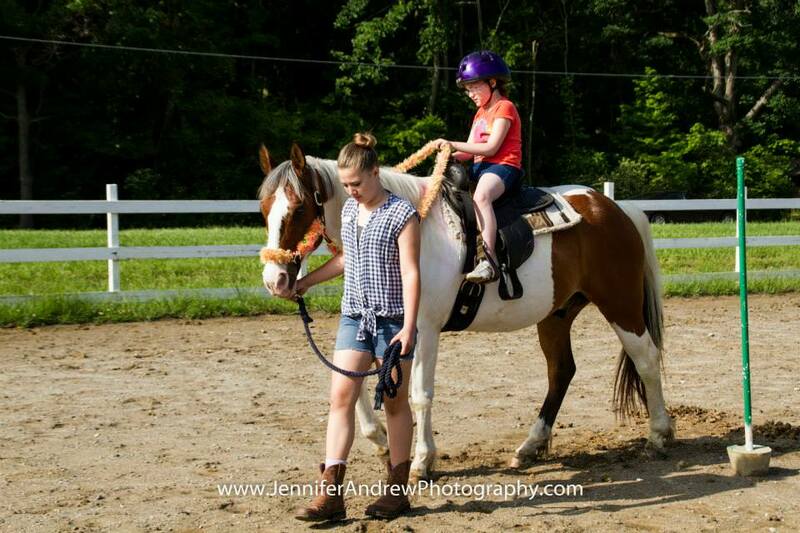 Alli leading a therapy horse named Joe during a week of Autism Camp. that rescues horses and then trains them to minister to the youth of the area. They actually are giving therapy horses to kids who need it… Because they are fully donation supported. They do not charge families who come to the ranch. They have a huge heart and its grown Alli’s soul by an astounding amount. The best part for Alli is the way the ranch partners with other organizations such as the Autism group and puts on Autism camps for weeks during the summer months. Or how rhey have kids who are in any way touched by cancer to come out and be refreshed and ride with like minded families who understand their exact life struggles. Out there, she says she can BREATHE. I think it is as much a ministry to her as it is for her to be there ministering to the kids and working with the horses. So she showed me the song that is weaving itself into her heart. It’s actually reminding her to breathe, and in turn, reminding me to breathe. Take a moment… watch and listen… and remember, it’s just life. No matter what gets done/goes wrong/doesn’t get done/or does not go right… we will all reach the end of this life at the exact same time we were supposed to. We dont know when that will day will be when breathing is NOT required. While it is, take time to DO it. Call a friend, grab coffee, plan an afternoon out, go hide in a cubby hole in the library and veg out, and don’t feel guilty for it. The world will keep spinning, and we WILL make it through. I love my kids so much I ditched them and ran away! !